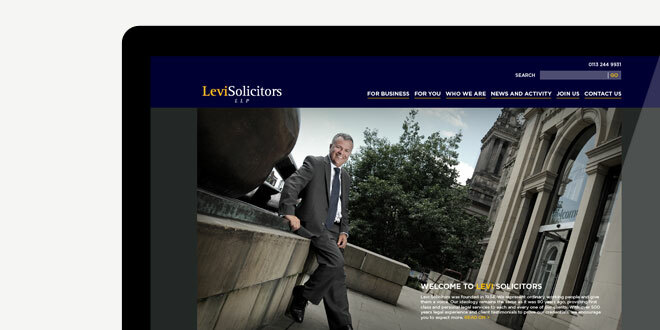 Levi Solicitors is a modern, forward thinking law firm that offers expertise in services for private clients and businesses. 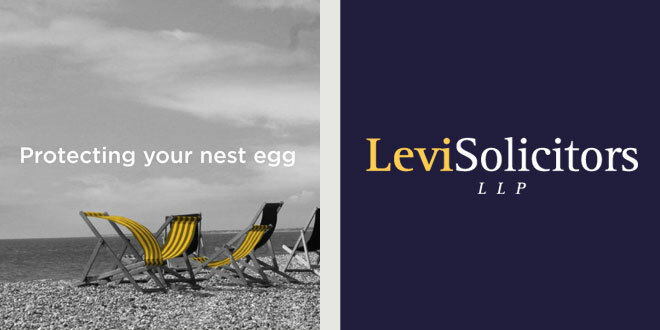 The brief was to establish a brand based on their existing logo and carry it through a number of different mediums. 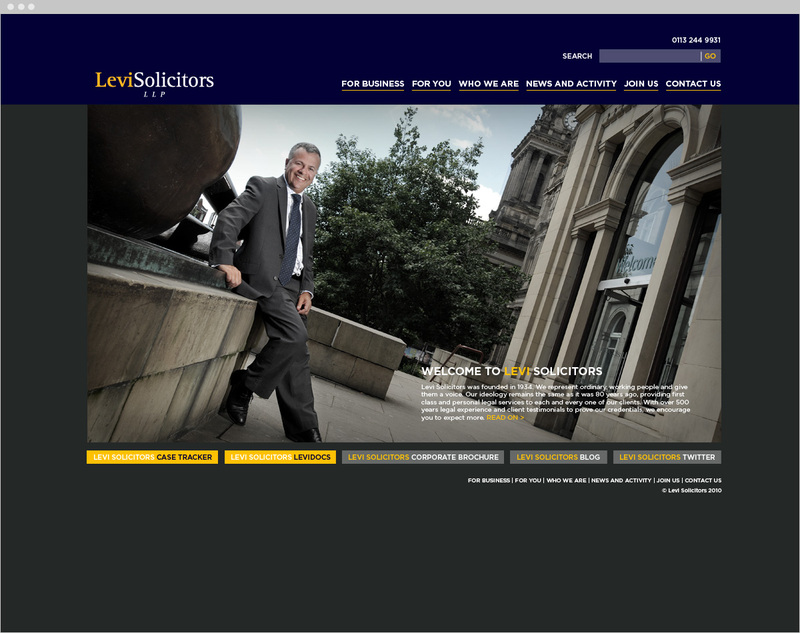 We started the Levi Solicitors brand design project by redesigning the website, creating a clean, professional and sophisticated layout using a series of grids to create blocks of colour and columns. The main colours of dark blue and dark grey were used with white and yellow helping to lift and brighten the design. 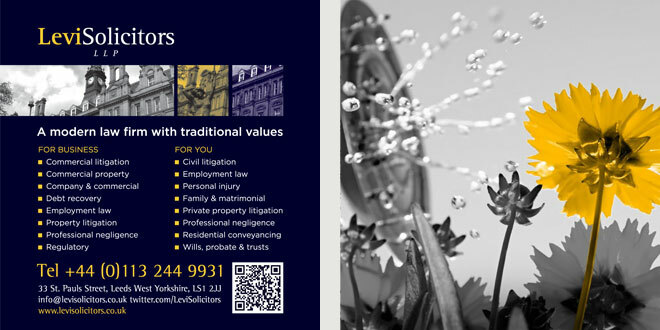 The black and white photography sits particularly well with this colour palette and helps convey the professionalism and experience of the firm. 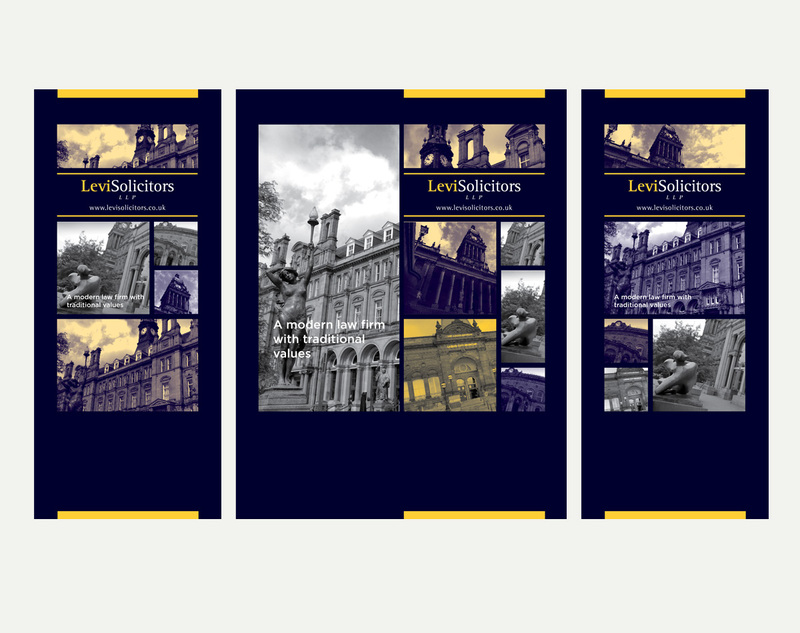 Each image has an object picked out in yellow to add interest and link it in with the brand colours. 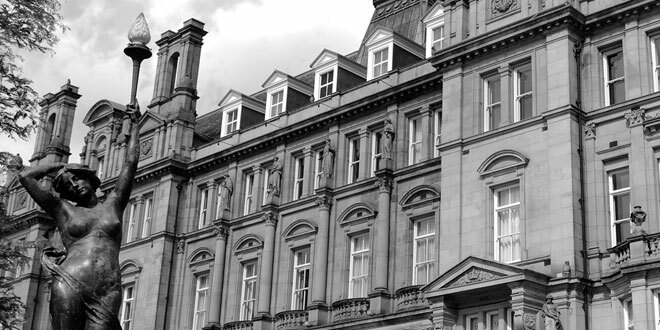 Most of the imagery was shot in and around Leeds city centre enabling us to depict the striking architecture of the city’s legal area on the website. 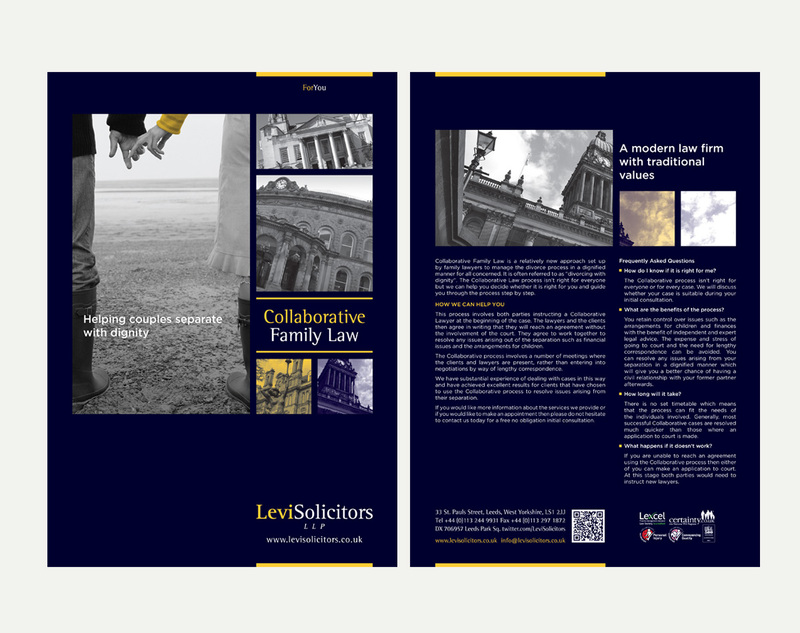 The impressive imagery and grid design were used as a basis for the leaflets, business cards and HTML email campaign.